Wild places, and the creatures they sustain, enrich us in ways that might surprise you. We’re wiping out the rest of life on Earth a thousand times faster than the natural extinction rate, and we’re filling that biodiversity void with food production and other human activities. Half of the inhabitable surface of Earth has been transformed to feed us. Gone are the former forests and grasslands that used to enrich those soils. If you were to weigh all the land mammals globally today, only 4% are wild; the rest are livestock and humans. In the last century we have also depleted life in the oceans - 90% of the large fish including sharks, tuna, and cod are gone. 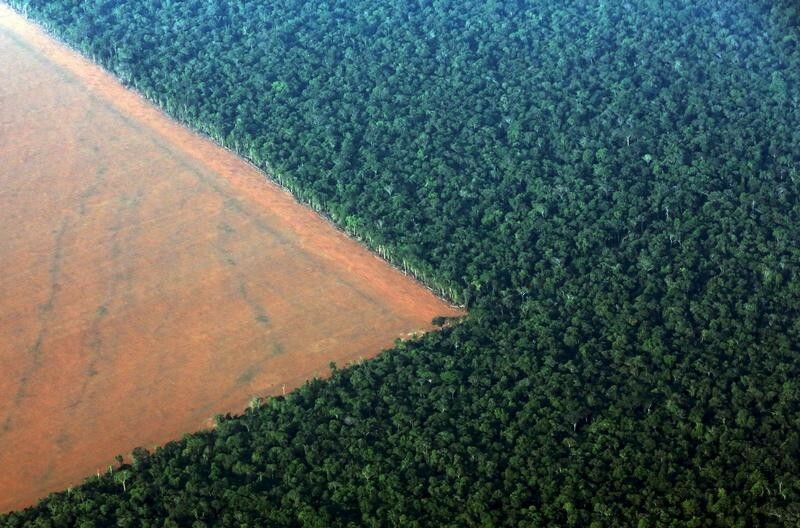 If we continue like this, soon the only large animals left on the planet will be us, our domesticated food and our pets, while the largest plant communities won’t be forests, wetlands or grasslands but monocultures mirroring the American Midwest. Some people dream of “terra-forming” Mars; yet we’re “Mars-forming” Earth. Is it a good idea to commoditize the planet and replace wild with domesticated? Can we live without wild places? Why should one care? 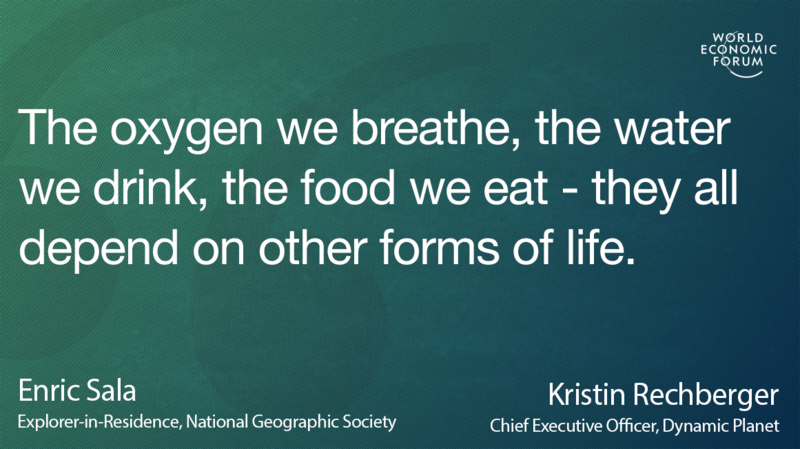 The oxygen we breathe, the water we drink, the food we eat - they all depend on other forms of life. Without the rest of species on the planet, there would be no prosperity, no economy, no us. Not only have we taken all those species and the goods and services we obtain from them for granted, but we have also destroyed their homes and families – at grave cost to them, and us. As scientists like E.O. Wilson have been telling us for a generation, we need half of the planet in a natural state, with functioning ecosystems that continue providing for us. For instance, we cannot achieve the Paris climate agreement goal (not to exceed 2°C in atmospheric temperature above pre-industrial levels) without intact ecosystems – our forests, grasslands, ocean habitats – absorbing much of the excess carbon pollution we expel into the atmosphere. More protected areas with thriving biodiversity not only go hand-in-hand with climate change mitigation but also they are required to correct our devastating trajectories. Nature is our greatest friend and ally, not our foe. There is growing consensus among scientists and conservation groups on the need to protect 30% of the planet in a more formal and measurable way by 2030, before we lose it. A few leading countries have already done their part, such as Bhutan (70% of the country is forest), Chile (almost half of its marine waters are protected), Palau (80% of its marine waters are protected), and the United Kingdom (almost half of its marine waters are protected). These leaders on the ground and in office know that ecology fuels the economy – and it will cost much more to try to manufacture what nature gives us for free. Meanwhile cutting-edge technologies including satellite sensing are allowing us to monitor activities on Earth like never before. A question we often encounter, however, is how can we protect more forests and oceans with the growing human population? We’ll need to feed 10 billion people! But studies show that our current agricultural footprint already can feed 10 billion people. We’re just wasting a third of it along the supply chain, from the field to the table. We can feed the human population with dietary changes (eat less red meat and more plants); fishing and farming subsidies reform; and smarter, less wasteful, regenerative agriculture that helps build soil instead of throwing it away every time it rains. Our companies – the National Geographic Society and Dynamic Planet – have partnered with the Wyss Campaign for Nature and other key partners worldwide, including the Young Global Leaders of the World Economic Forum, on a two-year campaign to help set 30% by 2030 as a main target of the United Nations Convention on Biological Diversity. China is hosting a key meeting in October 2020 around how much space we are willing to give to the rest of life on the planet. Healthy ecosystems – in protected areas or managed traditionally by local communities and indigenous peoples – are key to our economy too in many ways. As one example, natural disasters caused by ecosystem degradation and climate change already cost the world more than $300 billion per year – and that number is expected to grow. In a conference a few years ago, we heard an executive of a top insurance company say that a rise of 2°C is uninsurable, and a rise of 3°C is uninvestable. But there is more to nature than its instrumental value. Even if you’re like half the people on Earth living in a city, if you’ve been to the ocean, a forest or a lake, you know the feeling of being intrinsically connected to the rest of life on our planet. It restores us, calms us, entertains us and inspires us. How wonderful is it that there are millions of other forms of life waiting to be discovered? They won’t necessarily thank us for keeping them here and letting them do their jobs, but we can definitely thank them as we wouldn’t be here without them.